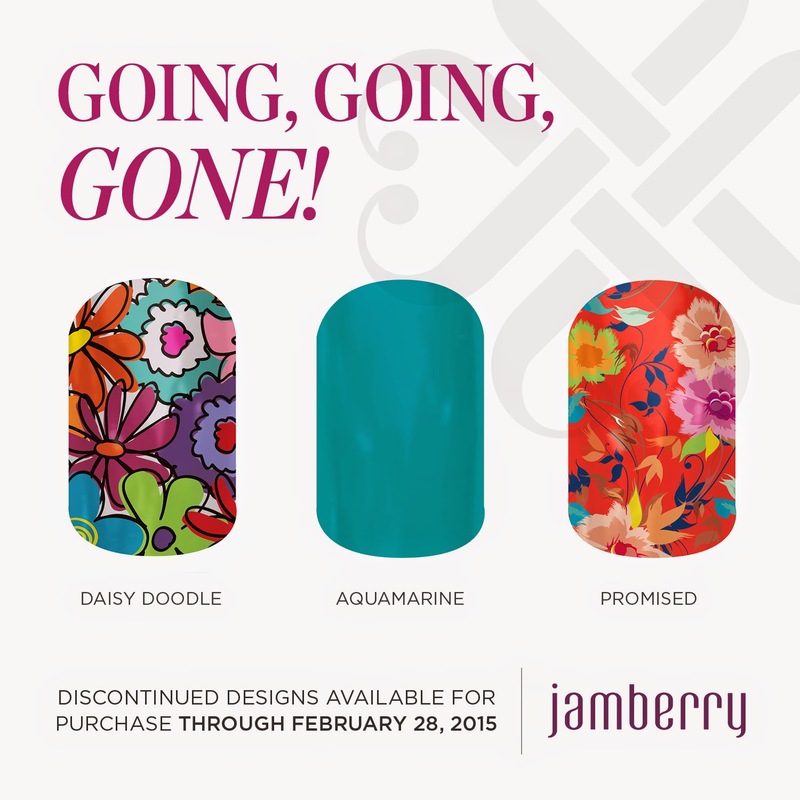 Here is the Jamberry Going Going Gone! 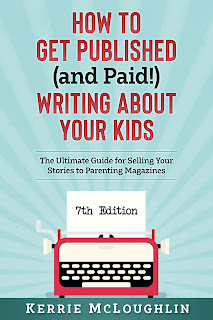 List for Spring 2015. 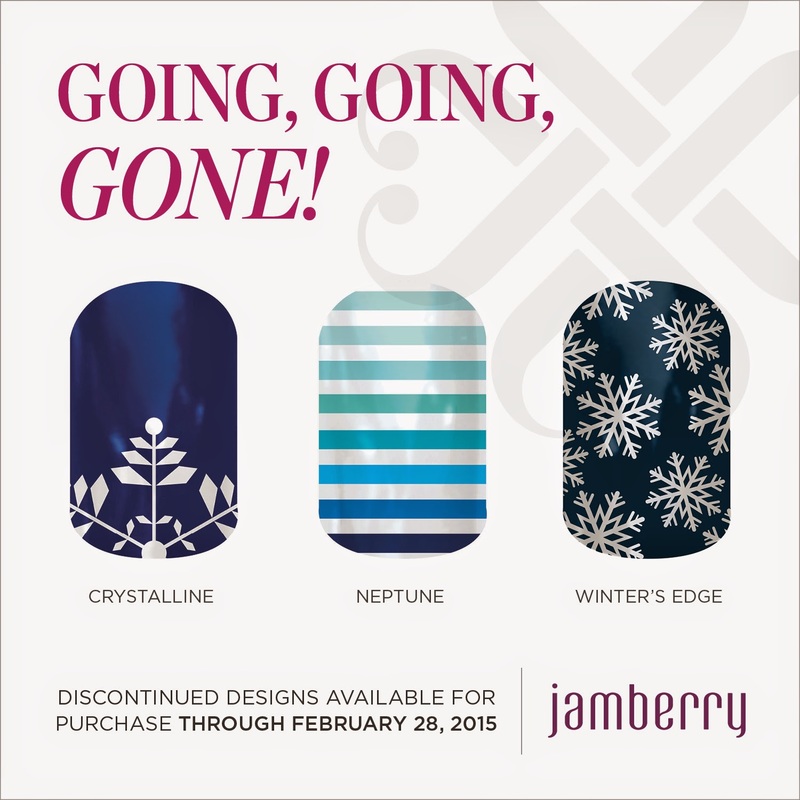 These wraps are going bye bye forever on February 28, 2015 so get them while they last! 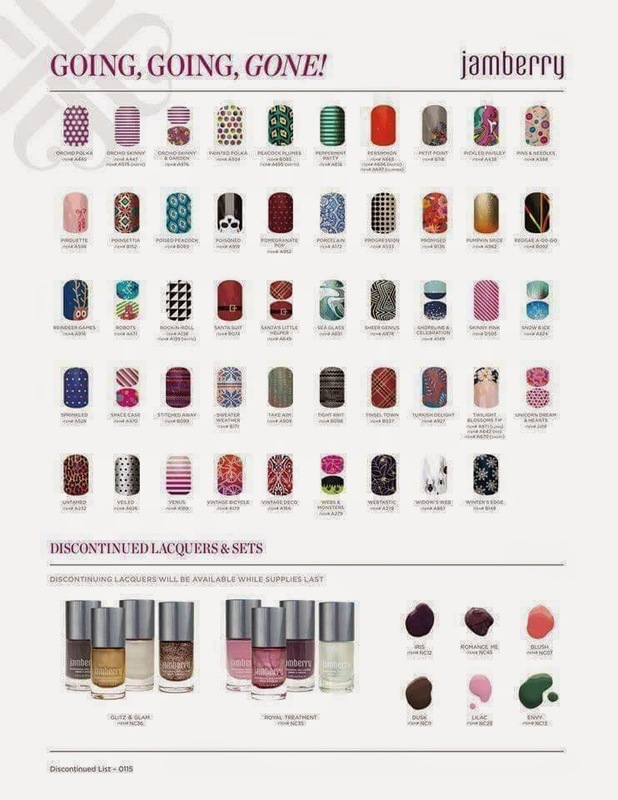 Then on March 1 you can start ordering from the NEW CATALOG! 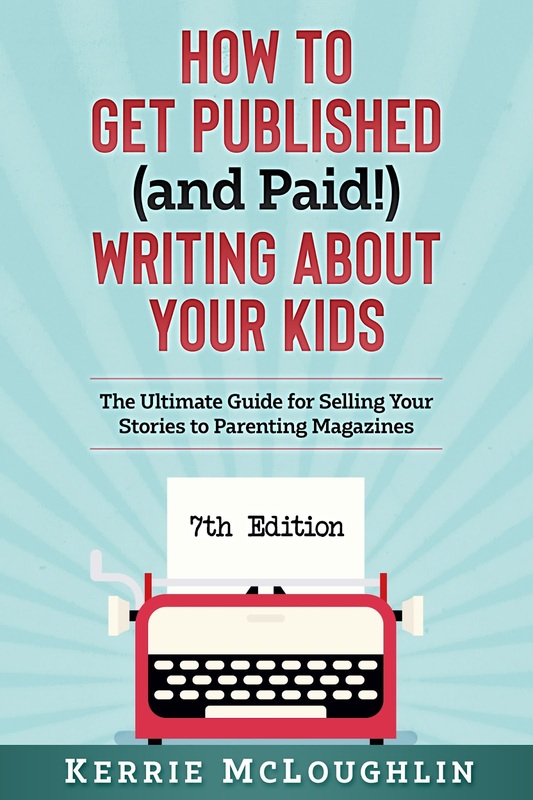 I have seen it in PDF format. I can't share it but it's awesome, as always! 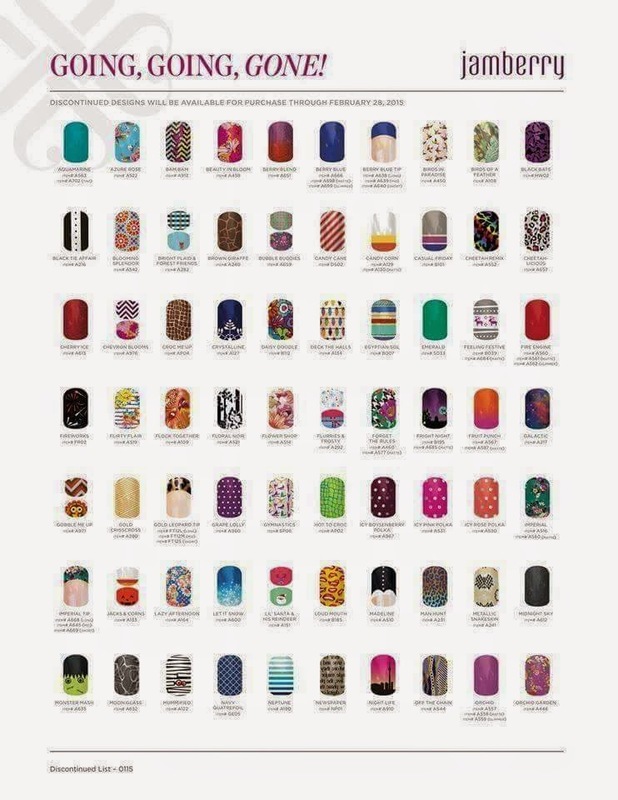 You can order from me directly here or email me and ask me anything about Jamberry nail wraps, having an online party with me or signing up as one of my team members for a career you will have a blast with! I will miss all these polkas!